Monkey Wildlife Park – Farm Buffelsdrift Bela Bela. 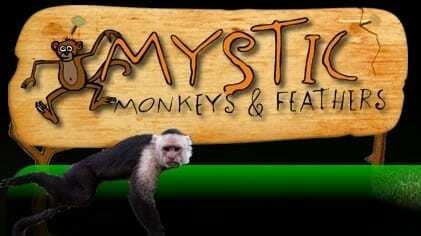 Bring the family to see some of the world’s most beautiful animals at Mystic Monkeys & Feathers Wildlife Park. We have one of Africa’s largest primate collections, birds of ALL kinds and predatory animals, including White Lions, Bengal Tigers and Cheetahs! Mystic Monkeys & Feathers Wildlife Park is situated close to the Dinokeng Nature Reserve and Carousel Casino, in the heart of the Bushveld near Bela Bela (Warmbaths). It is about an hour’s drive from Pretoria. NO picnic baskets, food or cold drinks / liquor allowed in the ZOO – a Fast Food outlet is available that also sells soft drinks. Playing with Cubs (No Booking Required). Tariff – R100.00 Per Person ±10 minutes per person. NO FEEDING OF ANIMALS ALLOWED! The main gate to Mystic Monkeys & Feathers will be on your right.